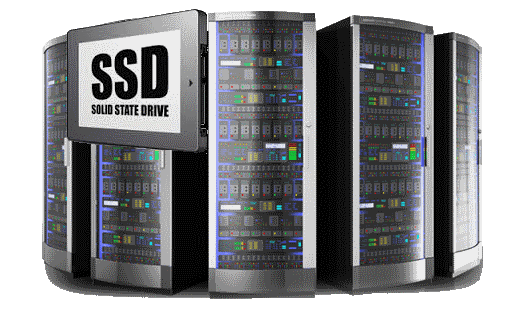 If you are in the market for high-end hosting performance at bargain-basement pricing, look no further than shared SSD hosting. With SSD (solid-state drive) servers, you get faster processing times, better reliability, and more environmentally friendly hardware. Shared hosting offers low pricing, zero maintenance, and ease of use. We’ll run through the main benefits of both SSD and shared hosting to show how—when teamed up—they deliver a combination of vigor and value, unmatched in the hosting game. Performance. Server performance is all about data flow, or how fast data can be inputted and outputted. Solid-state drives have faster throughput speeds and allow for quicker data access. SSD servers can support simultaneous input and output, which allows the server to handle increased traffic during peak hours. Solid-state drives do not have the physical restrictions that can limit throughput. Spinning hard disk-drives (HDD) aren’t able to handle the higher demand and can slow down the process of pulling info from the database. Reliability. With no moving parts, there’s no internal friction that can cause wear and tear on the drive, itself. Also, there are no temperature fluctuations that could otherwise lead to other issues such as system overheating or nearby hardware being compromised. In short, SSD servers are less likely to suffer a catastrophic data loss. Environmentally Friendly. Solid-state drives are much greener than their HDD counterparts. Having no moving parts means they consume much less energy. Plus, they run cooler than hard-disk drives, so hosting companies don’t have to use as much air conditioning to keep the server room environment from getting too warm. Price. 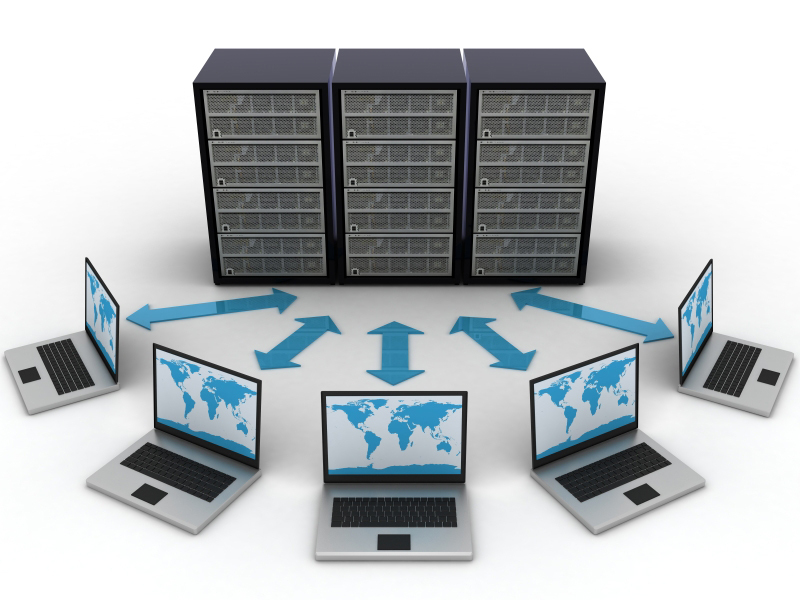 Perhaps the most enticing benefit of shared hosting is its affordability. With shared hosting, you are only using a portion of the server’s resources, so the hosting providers don’t charge as much. They make their money on volume. 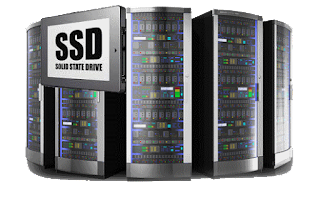 Even SSD shared hosting packages can be found for just a few dollars a month. Management. Shared hosting is very attractive for the first-time website owner. Nearly every stage of the process is intro-level and has the new user in mind. You don’t have to worry about backend server management. The host administrator will take care of all of that. All you need to be concerned with is your isolated segment of the server. Ease of Use. Again, with the novice in mind, shared hosting providers typically employ an easy-to-use control panel such as cPanel. These types of control panels have a user-friendly, intuitively organized interface that takes very little time—and little technical know-how—to master. You’ll also enjoy a strong support staff should you encounter any bumps in the road. With a dizzying number of hosting providers to choose from, you should have no trouble finding one that meets all of the needs of your online project. Not only will you find value with shared hosting, SSD will provide performance to boot. You’ll have a super-fast, reliable website that won’t break the bank to host.